On December 1, 1783 Frenchman Jacques Charles flew in a lighter-than-air gas balloon. Accompanying him was Noel Roberts, one of two brothers who developed the rubber coated silk used to make the hydrogen-filled envelope. They flew for 2 hours and landed 27 miles from the starting point. Once balloonists discovered that illuminating (coal) gas could be used instead of expensive hydrogen or helium, they preferred this form of balloon because they could fly higher and for longer periods. 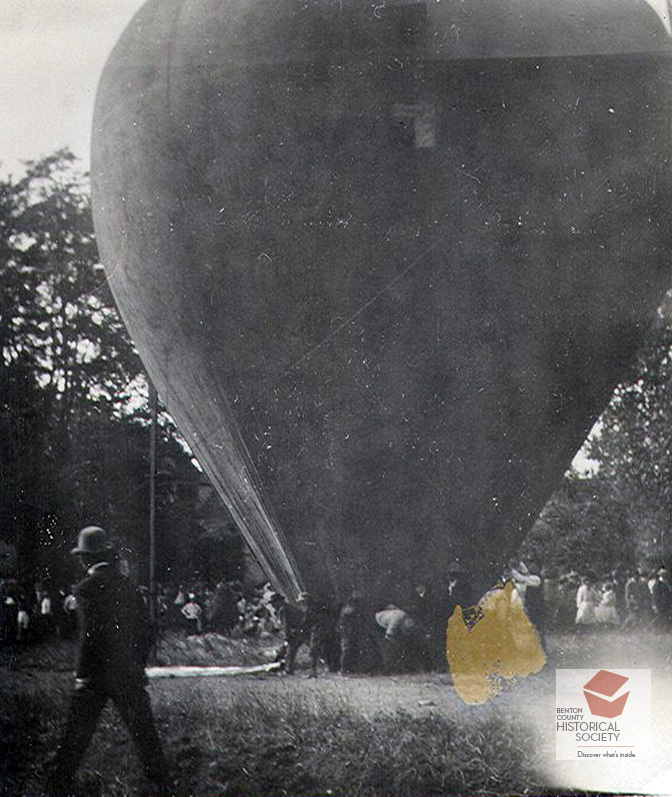 We believe this early 20th century balloon photo was taken in Corvallis.